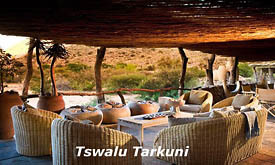 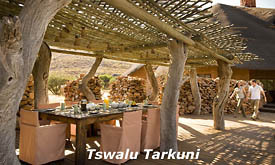 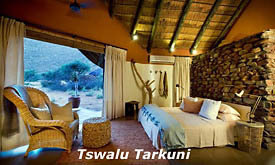 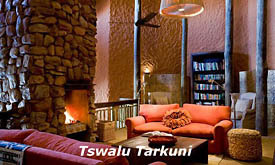 Set amidst two rolling mountain ranges, Tarkuni is the Oppenheimer family's own personal home at Tswalu and the ultimate private sanctuary. 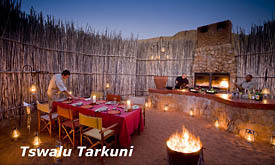 Tarkuni creates an oasis of serenity in the desert. 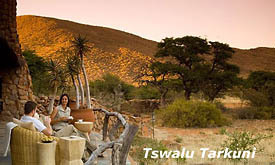 The home has its own dedicated team including a host and private chef to ensure a completely personal service. 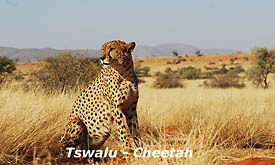 A private vehicle, personal field guide and tracker ensure an equally bespoke safari experience.